The 2017 session of the Hawaii State Legislature gets underway tomorrow with fewer Republicans in office than in 2016. Just 6, when there were 22 only a few years earlier. The consequences of poor party leadership are very real . Taxpayers, get ready to be taken to the cleaners by Democrats and their ravenous allies. 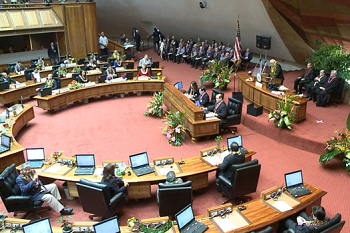 They are fully prepared to take advantage of the grand total of zero opposition mounted by the Hawaii GOP and its shrinking caucus of legislators. 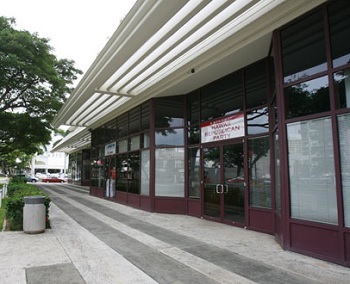 Today at Hawaii's Democratic Party headquarters, just a few blocks from the State Capitol, Democrat operatives are making a day long presentation of their legislative priorities. Their members are being engaged and prepped to help ensure passage of highly detailed policy and budget goals. After 62 years in power, local Democrats are laser focused on making government work for them and their friends, even if it harms everyone else . . . as evidenced by the latest report from a liberal think tank that Hawaii is the #1 place in the country where people live paycheck to paycheck (an obvious line of attack against Democrats which HIRA points out at every opportunity, but the Hawaii GOP is completely silent about). Meanwhile, just a few blocks from the state capitol, absolutely NOTHING is happening at the sleepy Hawaii GOP headquarters . . . unless you count the self-absorbed party insiders who are busy packing their bags and rewarding themselves with trips to D.C. for Trump's inauguration. Our party is weaker and less influential than is has been in decades. Yet, our Republican 'leaders' are leaving town at a time that island Republicans are already flat-footed and at a serious disadvantage. They didn't bother to ask you what YOUR legislative priorities are in 2017. They didn't bother making plans to offset what Democrats are doing. And neither Miriam Hellreich nor Fritz Rohlfing have explained how sending fewer elected Republicans to the state legislature each year is a good thing. Instead, they have ordered the Hawaii GOP to stand down. Democrats and their allies will be pushing for enactment of these nutty ideas and more with advertising, public relations, lobbying, rallies, signwaving, canvassing and more. Meanwhile, RINO party leaders at Hawaii GOP headquarters want Republicans to sit on our thumbs and just watch the chickens come home to roost. Not a single meeting of party leaders held in the past 12 months included any planning for how to put up a fight at the State Capitol starting tomorrow. 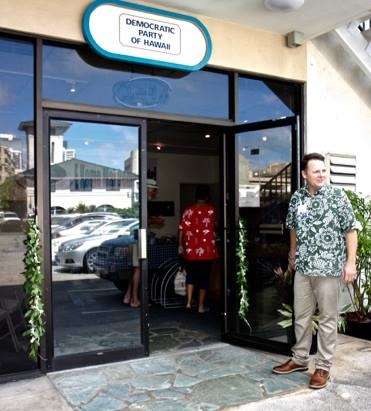 Like their 'do nothing' plans resulting in our failed 2016 election campaigns, local GOP leaders at our overpriced luxury office suites on Kapiolani Blvd. simply planned to fail in 2017. Remember Sam Slom, the lone GOP state senator who called out and shamed Democrats in order to wake up the public? 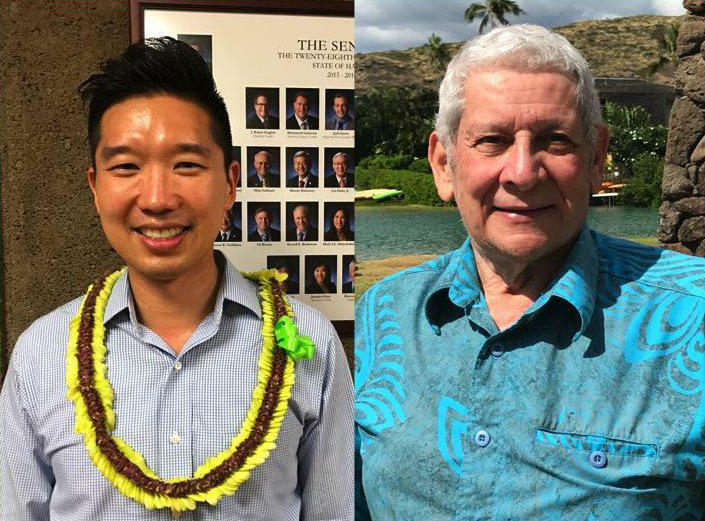 Well, Hellreich and Rohlfing sat back and watched Democrats help progressive Stanley Chang take that state senate seat away from Republicans in Hawaii Kai of all places. Team Hellreich's placeholder district chairs in East Honolulu, Ellie Giles and Brad Burton, had other things to do during 2016 and didn't lift a finger to ensure Slom's reelection. Now Slom won't be there to remind Republicans and the public about the sneaky things that Democrats are pulling. Poor party leadership has severe consequences . The chickens are coming home to roost tomorrow. Once the opening ceremonies at the state house and state senate have come to an end, emboldened Democrats will press forward with an increasingly liberal agenda for Hawaii; an agenda which would trigger the gag reflex of any real Republican, though RINO's who comprise Team Hellreich appear to be quite immune. 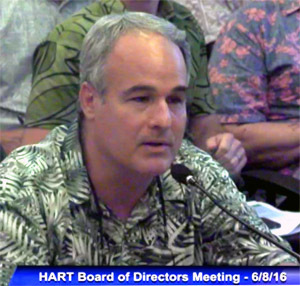 Remember that HIRA told you last week of state chairman Fritz Rohlfing's decision that the Hawaii GOP organization exists primarily to serve tax-hiking, big spending RINO Beth Fukumoto and her agenda. That decision was announced on the radio right after Democrat megadonors made more giant financial infusions into our cash-strapped local party. You could call it "pay to NOT play". Let's be real. 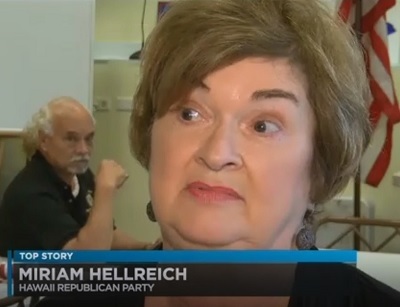 If Miriam Hellreich's RINO gang which still runs the Hawaii GOP after nearly two decades of defeats really had any objections to the Democrat agenda, these party leaders would be leading the fight at the State Capitol. But they don't, so there'll be no fight. The Hellreich party has never led such a fight; always deciding that the statewide Republican organization should stand down and do nothing. Now, if you're tired of having a party run by RINO's which simply lays down and lets Democrats roll to victory even when the statistics and the arguments are all on our side, please join the effort to fix our party. It starts with new leadership. You can be one of those leaders -or- you can help those new leaders to get elected to party posts. 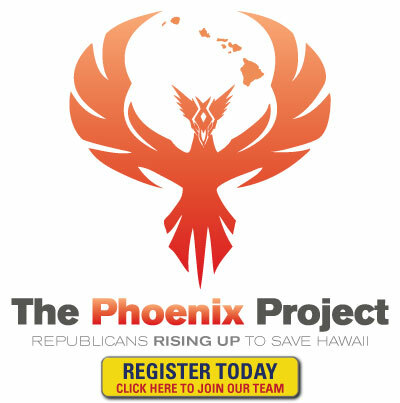 Working with conservatives across the state, the Phoenix Project is seeking Republican activists like you who can spare a few hours to help turn things around for our party; beginning with next month's caucus meetings held throughout the islands. If you can go to one meeting in your neighborhood next month, you can make a difference. Hawaii's future is in your hands . The only organization which could possibly take on the Democrats is the extremely dysfunctional Republican Party of Hawaii, which is currently under the control of closet Democrats and liberals and Democrat Party allies. It doesn't have to be this way. We shouldn't have to cringe on the opening day of the State Legislature. Please join us today so we can change Hawaii tomorrow. Thanks for your support for making our party better with new and serious leadership in 2017. Let's throw down the gauntlet and begin reversing our fortunes in 2018. 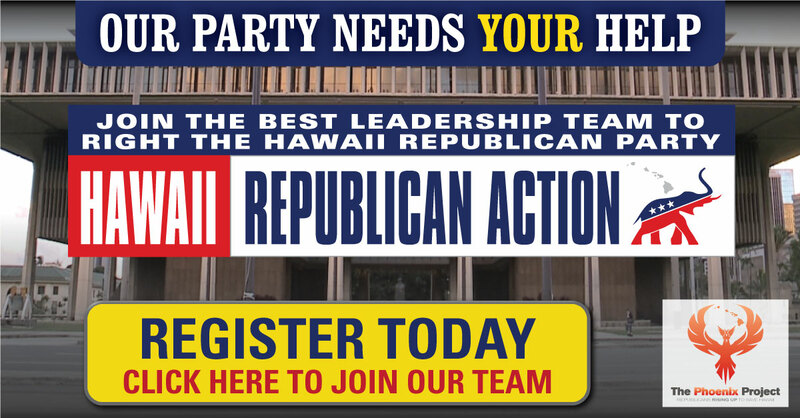 Please join the push for local GOP reform today so we can change Hawaii tomorrow.